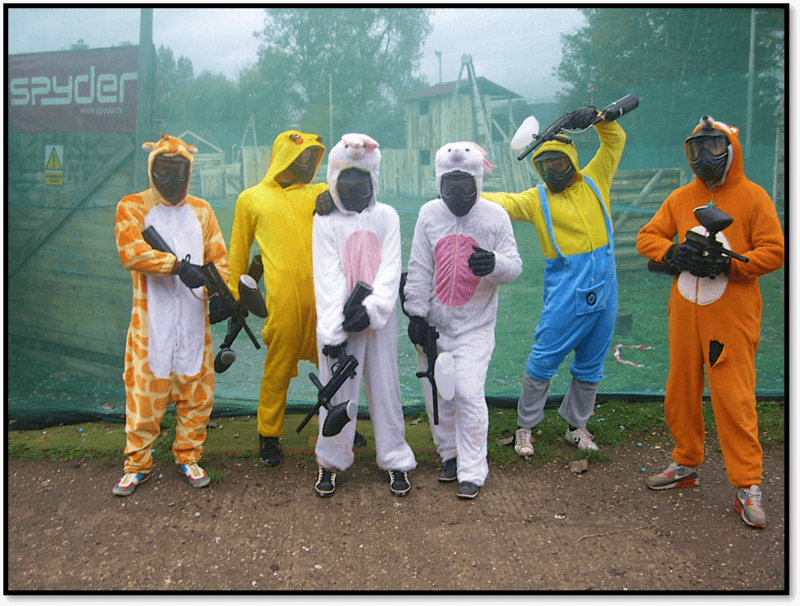 What will you get when you mix Paintball and Bachelor party? Crazy scenario games with experienced organizers and private playing! 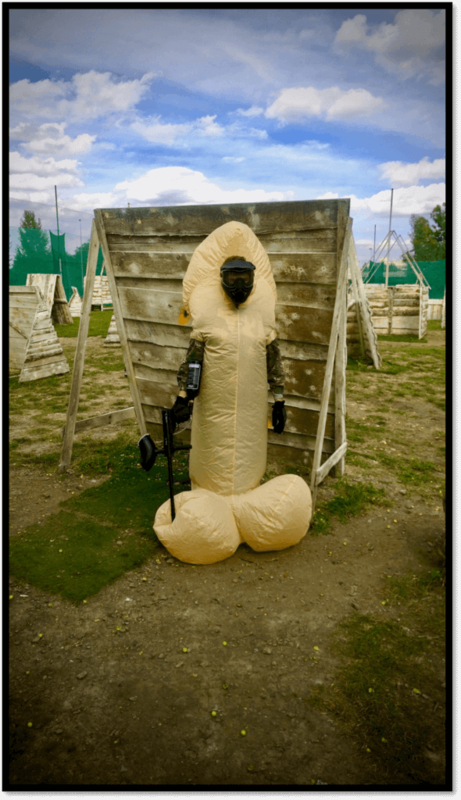 Funny costume and quality equipment. Photo of an awesome game in eletronic version. 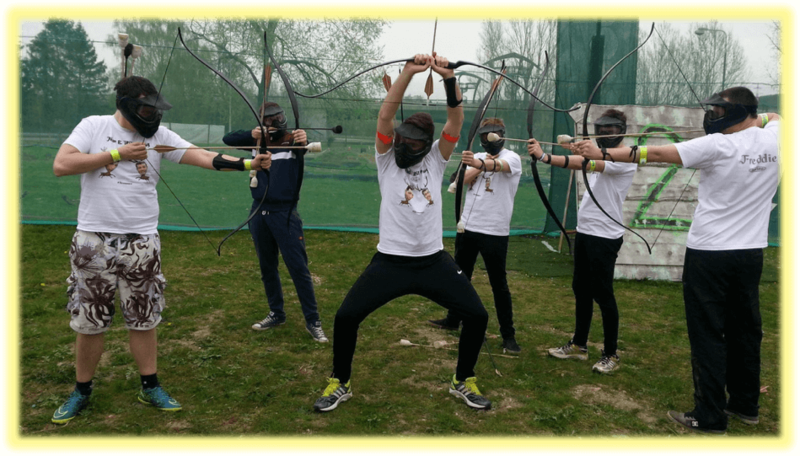 Best priced packages – RAMBO: All you can shoot! Only for 1200 CZK! Private playing on the field and private organizer. 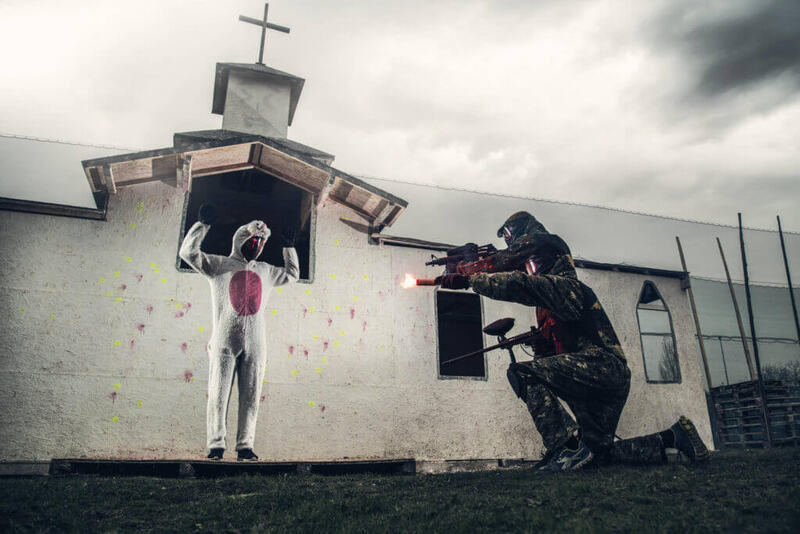 Arranging prank for bachelor or next fun activities on the same place as paintball field. Service of friendly and professional English speaking organizers. New unique action paintball field in Prague. Complete equipment with the larges offer of accessories (see pricing). Possibility of BBQ or helping with transport from your place. Covered and heated private base with possibility of individual program. Pleasant and peaceful environment directly next to the river. All these advantages only in our arena! Do you want even more fun? Book another fun activity. Everything on the same place. ,,We had a really nice afternoon there! Outstanding service, nice field and professional and friendly stuff! Would give you 10/10 and go there definitely again!” Published by Nicola Gandela, August 16, 2017.
,,It was an awesome experience! The guys were really friendly and caring. Thank you for the good time. I highly recommend the foxhunt as an official playmode for bachelorpartys. ” Published by Wilko VW, March 29, 2017. For booking use our form or contact us by phone. We´ll confirm your reservation shortly.